How Much Experience Do I Need to Attend This Workshop? Photographers — We welcome photographers of all skill levels! Whether you are new to the photography world and are looking to build up your portfolio or are a seasoned professional looking to shoot something new and inspiring — this workshop is for you! Styling Participants — No prior styling experience is required but an interest in event design + styling is a must! Photographers — Bring whatever camera equipment you typically shoot with. Lighting won’t be needed. Styling Participants — Just bring an open mind and something to write with. We’ll handle the rest! Photographers — Your session will last approximately 4 hours. The exact duration will depend largely on the shoot location and configuration. More details will be provided upon sign up. Styling Participants — Each day will last between 6 - 8 hours. Will I Have Rights To The Photos After The Workshop? Photographers — You have ownership over the photos that you take during the workshop but there are a few stipulations: Firstly, you will be required to sign a contract stating that you will refrain from submitting the photos to any online or print publications until after the Amanda O’Shannessy Creative team submits the shoot for publishing. Secondly, photos may not be used for online or print advertising campaigns. You may use the photos in your portfolio, blog, website, social media accounts and marketing materials. We kindly request that you credit all participating vendors. Styling Participants — Since none of the work that you will be exposed to at the workshop will be your original work we ask that you please refrain from presenting it as such. You are of course more than welcome to share photos captured by our photographers as long as all vendors are credited appropriately. You are also welcome to do a recap of your experience on your personal or business blog. What Will I Be Photographing At The Styled Shoot? 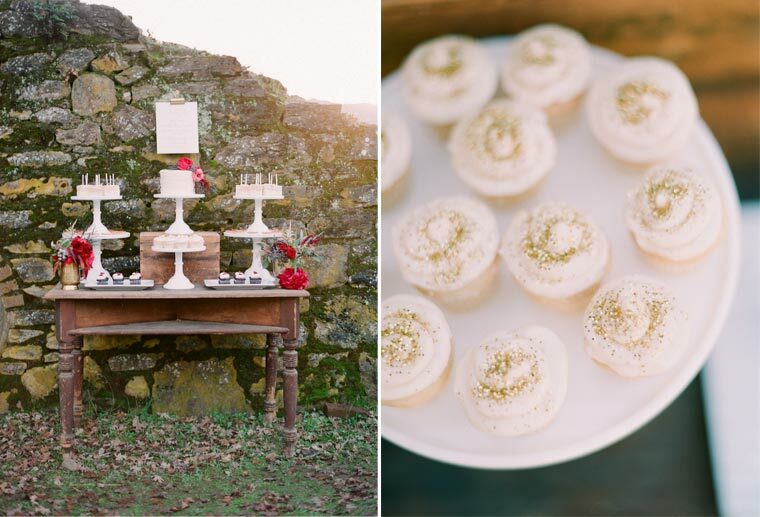 The styled shoot portion of the workshop will consist of a number of styled “vignettes”. These vignettes may include a dining table, dessert display, lounge area, ceremony set-up, bridal bouquet, boutonnieres, invitation suite and signage. There will always be at least one female model present. The inspiration behind each shoot is different so no shoot is ever the same! How Does The Styled Shoot Work? In order to make sure each photographer gets ample shooting time and space, the styled shoot is only open to a small number of photographers. The exact number of participants depends on the venue and the number of vignettes. In addition to shooting the vignettes, each photographer will get one-on-one time with Amanda to ask questions and discuss styling tips and and tricks. Photographers — Light refreshments will be provided for your portion of the workshop. Styling Participants — Lunch will be provided on both days. I’m Traveling To Attend The Workshop. Are Transportation And/Or Accommodations Included In The Registration Fee? First of all, we are so excited that you are traveling to join us! Transportation and accommodations are not included in the registration fee. With that being said, we are happy to recommend local accommodations and connect you with other attendees to facilitate carpooling.